The American Petroleum Institute (API) is the only national trade association representing all facets of the oil and natural gas industry, which supports 10.3 million U.S. jobs and nearly 8 percent of the U.S. economy. API's more than 625 members include large integrated companies, as well as exploration and production, refining, marketing, pipeline, and marine businesses, and service and supply firms. They provide most of the nation's energy and are backed by a growing grassroots movement of more than 40 million Americans. 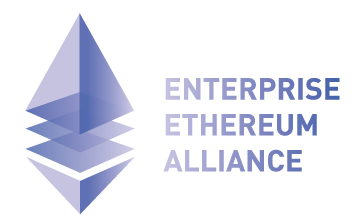 The Enterprise Ethereum Alliance connects Fortune 500 enterprises, startups, academics, and technology vendors with Ethereum subject matter experts. Together, we will learn from and build upon the only smart contract supporting blockchain currently running in real-world production - Ethereum - to define enterprise-grade software capable of handling the most complex, highly demanding applications at the speed of business.